Rent a car, and drive 45 minutes (or less) from Venice. Stay at an agroturismo (we stayed at Relais Alice). The food in the Veneto is delicious (see more of it here and here). It’s an interesting combination of heavier meat- and butter- based dishes and seafood (remember, you’re only 45 minutes from the ocean). The wine is incredibly inexpensive (and good!) and the rolling hills of the Prosecco region are arguably prettier than any vineyards in California. Nestled at the base of the Alps, the scenery is just stunning. We highly recommend checking out the town of Vittorio Veneto. It’s unlike anywhere we’d ever been in Italy, with an Alpine stream running right through the center of town and really good restaurants (definitely check out Trattoria alla Cerva). For dinner, also check out Osteria Das Mazzeri, which is run by two brothers in the nearby town of Follina, Italy. After you’ve seen Vittorio Veneto, head out to the country. Right outside of town, you’ll find the Caglieron Caves. We spent about an hour on a quick hike here, exploring the caves and waterfalls. It was beautiful. It’s also where they age local cheese made from cows milk in the hills. Be sure to wear tennis shoes or something to do a lot of hiking in. After checking out the caves, our host, Cinzia from Le Vigne di Alice, took us to Cansiglio, a huge Alpine plain surrounded by mountain peaks. We stopped into a bar for a beer and picked up some sausage for later. It’s such a peaceful place, filled with local beech trees and grazing sheep and cattle. We headed home a different way, past stunning serene lakes and Alpine vistas. 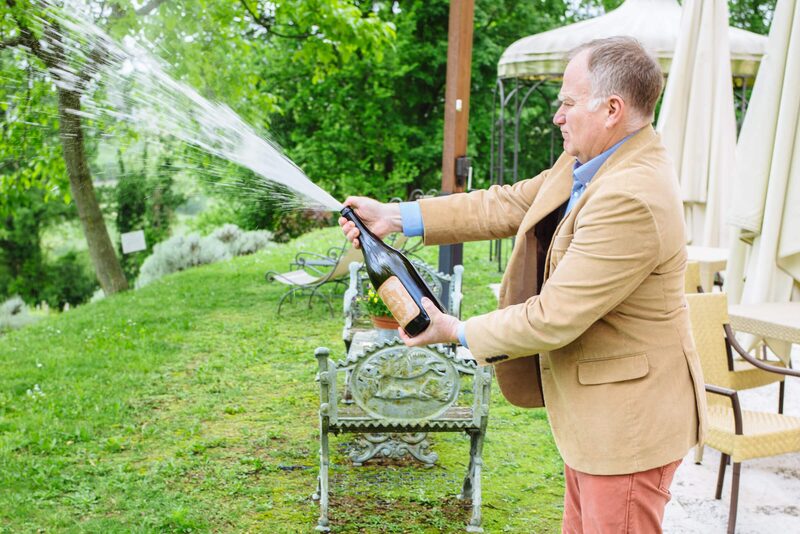 Of course, you can’t visit the Veneto without tasting Prosecco. 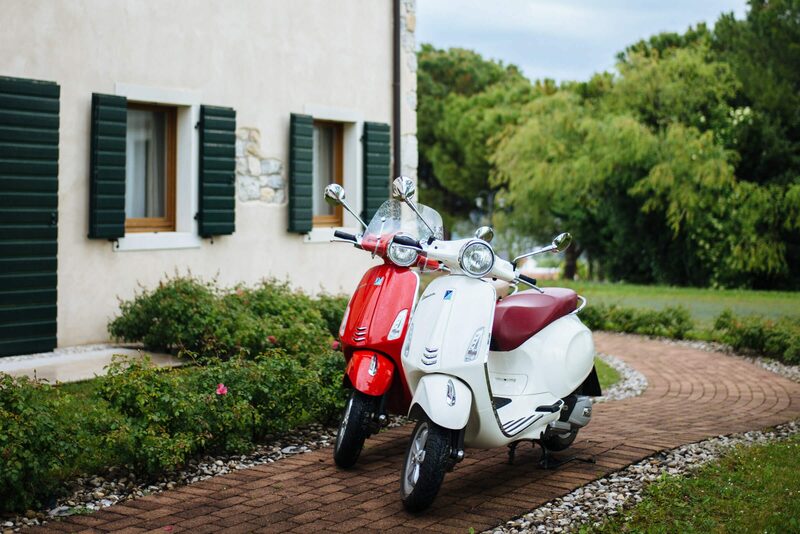 We’d recommend renting a Vespa and checking out a few wineries along the famous Prosecco road. 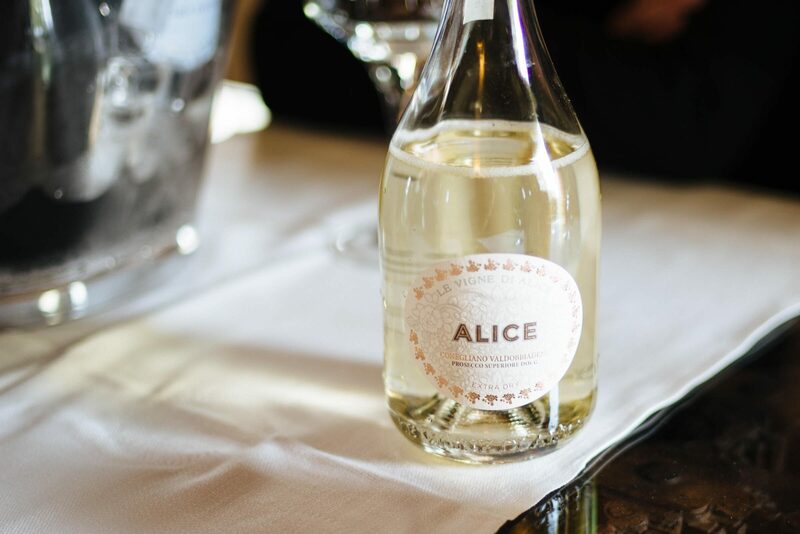 Some of our favorites include Le Vigne di Alice and Bellenda. Along the way, you can take in the views of the rolling hillsides dotted with medieval towers and church steeples. Check out the video below for more highlights on what you can experience when visiting Veneto and the Presecco Road!